The Flying School boasts three Cessna 172R's. 118FS and 872FS are 2003's equipped with traditional round dial gauges. They also both feature the Garmin 430 GPS system. 713FS is a 2008 and equipped with a Garmin 1000 glass panel display system. It also showcases a S Tec 55 auto pilot. All three aircraft have the Lycoming O-360 engine with 160hp and get 11gph. 325SP is a 1999 Cessna 172S. Although it's a couple years older than our other trainers, it's got a lot to offer. This aircraft is powered by a Lycoming IO-360-L2A producing 180 horsepower (134 kW) which gives it lots of speed and lots of lift. The maximum engine rpm was increased from 2,400 rpm to 2,700 rpm resulting in a 20 hp (15 kW) increase over the "R" model. As a result, the maximum takeoff weight was increased to 2,550 lb (1,157 kg). It is outfitted with dual King Nav/Coms, a King GPS and is in great condition, both inside and out. 835FS is a 2008 Remos GX Light Sport Aircraft. 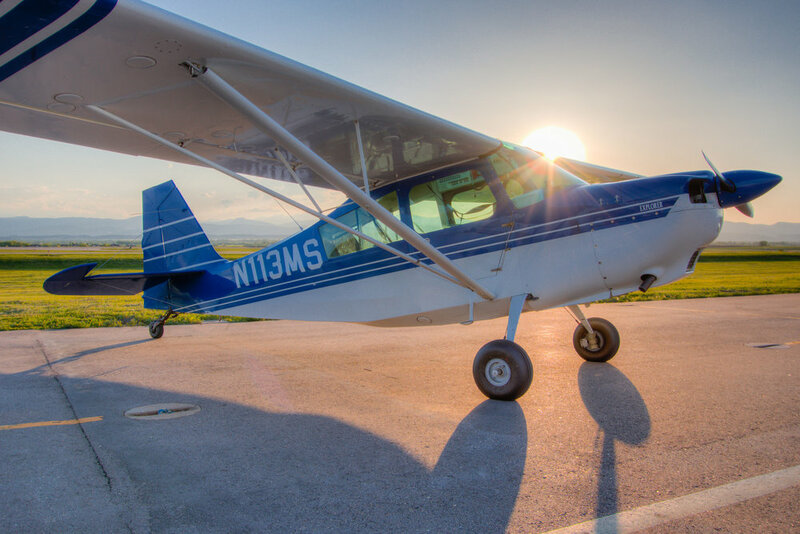 If you're not familiar with a Light Sport License, click here for more information, it's a great starting place for your flying experience. The Remos is a 100% composite aircraft with a 100hp Rotax engine, 100hp and gets 2.3 gph. As light sport airplane, it is equipped for VFR flight with a Dyson glass flight panel and instrument display. For additional safety, this system incorporates a traffic warning equipment. Since a light sport license doesn't require a third class medical, it can generally be obtained faster than a private pilot license.